Anything epic on a bike. 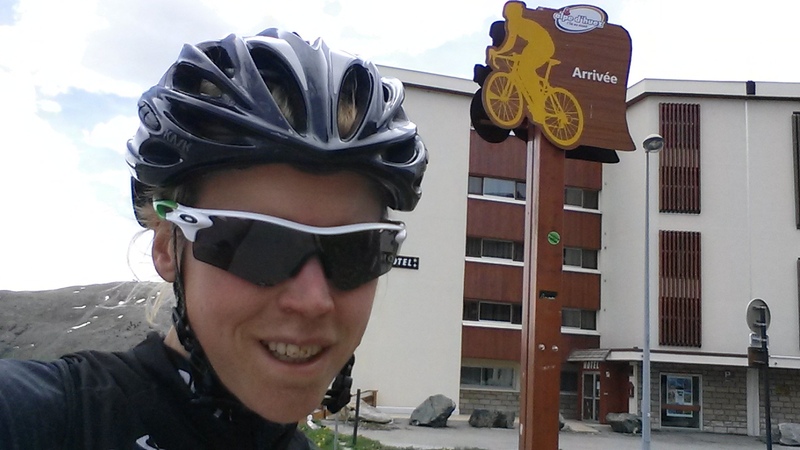 : What happens when you underestimate Alpe d'Huez! I am currently in France chasing all the epic climbs. And it goes without saying, there are a lot! I am on a mission - filming them for the indoor trainer app called FulGaz. But there is a problem with spending an extended period of time in the mountains - you become addicted to elevation gain. At first, it was one little climb - 700m vertical gain that blew you away. Then it was 1000m, a big one. Well, two days ago I was on the "hell, I am going to do a big day today - two 1500m climbs, Col de la Croix de Fer from both sides". In the evening I checked my ride and I saw Alpe d'Huez was so close to that route! It was one of those climbs I was planning on filming anyway so how could I have missed it!!!! 24 hours later I came to this epiphany I could just add Alpe d'Huez to the 6.5 hours ride the day before. What is one more climb? But then, the most essential part of my mission failed. The camera gave me a no-go! So after climbing the reminder of Croix de Fer, I had to make a monumental decision. Heading back and call it a day or keep going? I decided to keep going. I have been riding with a failed power meter, only three gears, a badly-to-be-greased chain and other unidentifiable bike noises for the past two weeks. A broken camera will not make me turn around. Basta! 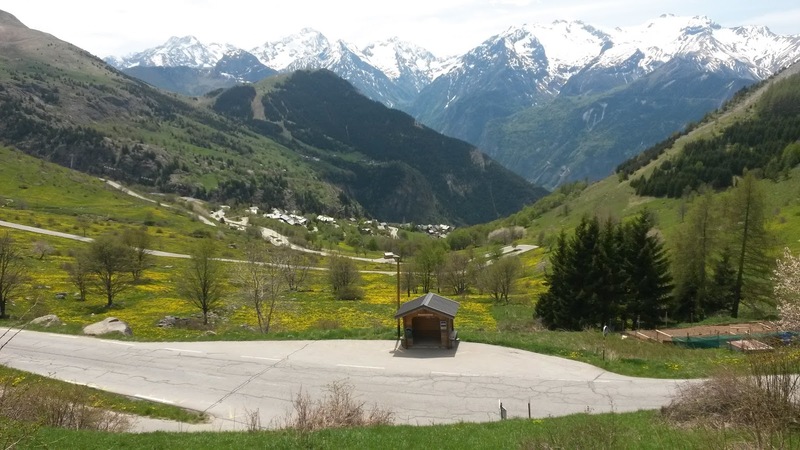 So I descended the other side of Croix de Fer and four hours later and 1800m vertical meters in my legs I found myself in Bourg d'Oisans - the start of this self-proclaimed, tough climb. Well, yes, it did start tough. But then I thought it was only 10km of climbing and 1100m of ascent. It was starting to sunk in. This might not be the random neighborhood climb. There were count-down markers for the corners in the... ahem... corners. Not sure about its intentions....was it meant to devastate or encourage you? Plus, my vision got so blurry that I couldnt make up the number anymore! In short, I was losing it. And what set me off completely were all those cyclists who were flying down the mountain. Excuse me! I am suffering here, have a little bit more empathy. A more pitying face would be appropriate! Anyway, by corner 15±3 I decided not to look up anymore. Staring at the pavement was just fine by me! But another misery was setting in. I now could exactly follow my progress seeing if any pavement is moving under me. Suddenly I heard someone yelling: photo, photo! I looked up. Yes, there was a photographer in my snail-pacing way to take a picture. I let him do his job. Then he wanted to give me a business card. I think he could see my eyes behind my glasses because he immediately retracted. At some point, and do not ask me what corner, I looked up and saw two villages above me. Oh my god! That must be heaven or hell, well, actually both. Of course, Alpe d'Huez was the one further up. No time to look up anymore. I had a job to do. Staring at that darn pavement and hoping it would keep moving! Then signs of "Tour de France this way" appeared in my tunnel vision. Then the corner signs disappeared. It must be going straight or only uncornery corners now! 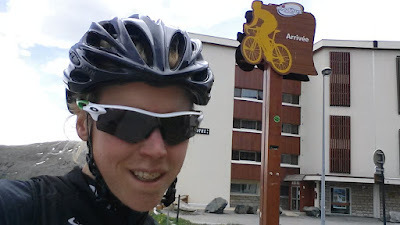 And I made it into Alpe d'Huez. Where the heck is that damn "Arrivee" sign? I asked frantically, distressed two coffee-drinking coffee drinkers. So I climbed those "few" meters....and I still couldnt find that one-and-only sign I would recognize from miles away! At the seemingly end of the village I turned around and was looking for the sign. More distressed. And by chance, I found this small, piddling sign which did not represent the size of this massive effort! They must change the sign! I took my obligatory col picture. I felt disturbed, mentally and physically abused. Why would someone play with you and your legs for such a long time? But back to my mission, I still need to film this climb! Next time (meaning tomorrow), the corners, the smiling descending cyclists, the photographer and the pavement need to watch out for my Vendetta! This is not how I will leave it with Alpe d'Huez! Oh wait, the story is not done yet. I forgot that I had to climb back over Col de la Croix de Fer (1500m elevation). And if Alpe d'Huez was misery, this was absolute hell. I was mentally so exhausted that those 50m road sign reflection markers every, well, 50m kept me going. I was thinking Col de la Croix de Fer and Alpe d'Huez on the same day, hard, but a good day.